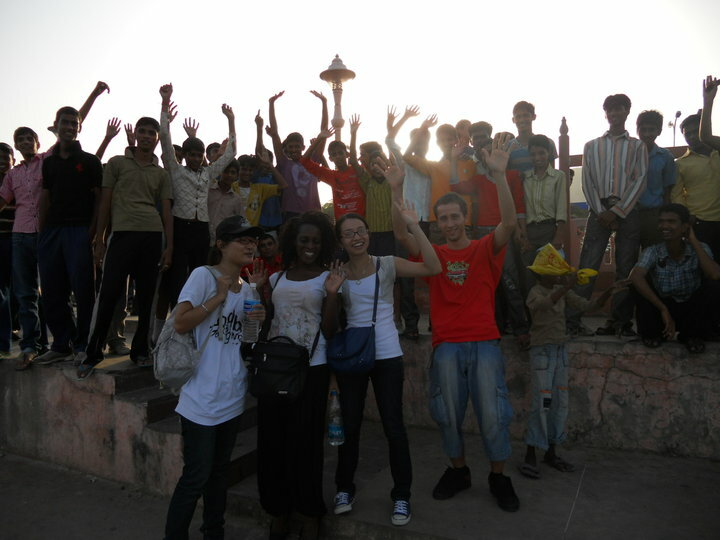 I came to India with the internship exchange program for students and recent graduates of AIESEC, the world’s largest student-run organization. And I was supposed to do international marketing back to Vietnam. Before I left, a lot of friends that had been to India for internship within the same program already warned me “they would not give you anything to work there!” and I was mentally prepared for that but still I got shocked. Three foreign interns in the company almost had nothing to do, just sat and read brochures. After 2 weeks, I couldnt hold on any more and complained with my boss that I didn’t want to fly all the way from Vietnam to India just to sit idle in the office. I also told him that I could see there were so many people almost doing nothing the whole day, and he said one thing I would never forget: “20% of the people in my company make 80% of the profit and the other 80% of people are just for decoration!” – “But why? If I had to spend money to hire people, I would make them really work!” – “Because I am kind, I want to create jobs for everyone” – “..!..!. !..” (end of discussion!) It’s true that he’s the kindest person I have met in India so far but this working style is really not my way, especially when I just quit a job in Hanoi because of stress and overload. Going from one extreme to another extreme was too much for me and I couldn’t adapt that fast. So, after 3 weeks, I decided not to waste my time in the office any more (I didn’t have anything to do but people would not let me do private things or open personal websites) and I said to my boss in the most honest way “Your company is not prepared enough to receive foreign interns! Could you imagine how we would tell friends back home? It doesn’t just influence the reputation of your company but also of all companies in India..” and he had to agree with me. I also helped him point out some issues in their training procedure for newcomers and intern recruiting process and he approved. So I guess my 3 weeks there were not totally just a waste, at least I did some impact on that company, they would improve their training process and also they now know that not everyone enjoys sitting doing nothing..
And I moved on, I applied to some other companies and all bad experience. One company asked me to come twice for interview and made me do a presentation in front of company staff about telesales. I did and the feedback on my presentation was very positive, but then they concluded such thing like they prefered white people and prefered man. I assumed they didn’t realize that I was yellow and woman from the first interview; and this company took me 3 weeks till their final answer. Fair enough! Another company also asked me to come twice for 2 interviews and made me do a research on Indian Steel Industry, I did all they wanted and their final reply was “For now we have no project that need more people”. Again I assumed they didn’t know it from the beginning and just took another 3 weeks of mine by accident. One more company that desperately needed Vietnamese people replied to me: “We have no problem providing you a job offer but you have to have a working visa in India. You can apply for one, duration 2 years, with 24 000 Rupees (equivalent to $560).” – “But what’s the problem with my business visa? All of my friends here are working with business visa, and I haven’t got plan to spend that much of money and stay here 2 years..” – “Uhm, in fact they are working illegally in India then, and our company is not like that. We’ll think about your case and call you within tomorrow” but of course they never called me back. And actually I also found the working visa fee in the website of Indian Immigration Office which was way less than 24 000 Rupees. 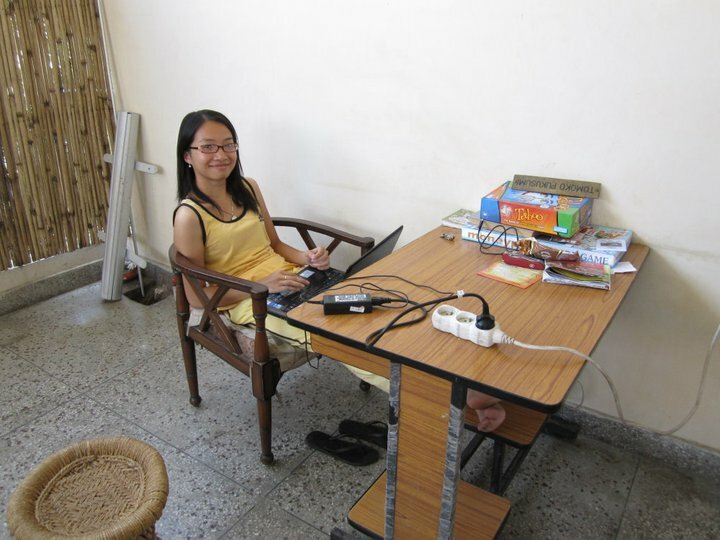 Apart from that very unpleasant experience about working in India, what else happened to me? I got cell phone and wallet stolen in my room while I was sleeping. I got stalked many times by Indian guys. I got “abandoned” by the irresponsible AIESEC Local Committee of Delhi IIT. I got terribly dry hair and skin because of the dry weather (way different from Hanoi). I got bitten by mosquitoes, bed bugs. I stepped on cow dung several times while traveling. And many many other small but annoying things that I can complain the whole day just like the Serbian girl I mentioned once. You said anything here is better than other CYs I have 1000 things atleast to tell u but I am sure you know how to use google and discover them! Do let me know is there any country in the world which has what India has!!! In fact, that was just a way of saying. What I want to mention is nothing in the marco vision, but just from a very micro approach. 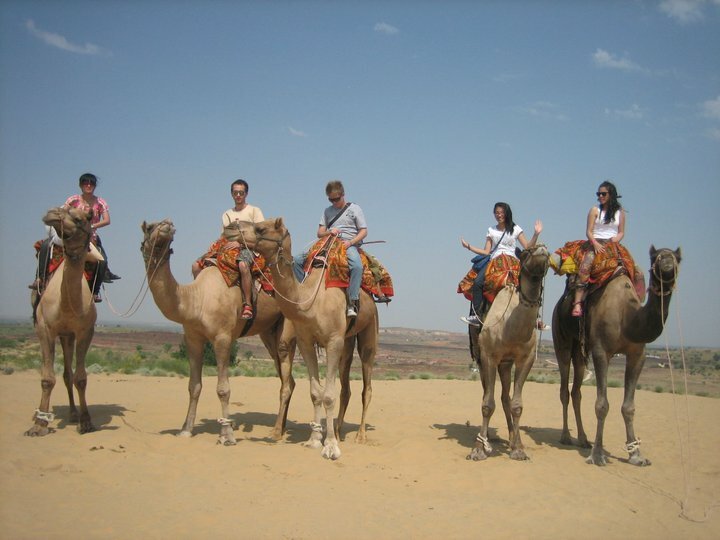 We are foreign interns living in India and we have to struggle a lot here getting used to new culture, new means of transport, new food, new life-style, new everything. Bargaining with rickshaw drivers, walking on the dusty streets, being squeezed in the train and metro, etc. For me, I am adapting quite fast because I’m from Vietnam and the condition somehow is very similar, but for European people it’s a big challenge.. :-). So the “everything” she mentioned here was really not everything, it was just all the difficulities she had to face in her daily life that she never had to when she was in Europe. Yeah, that’s the point here..
Hi sis, i also undergone fast 2 months in India but fortunately i faced not as many bad lucks as u since obviously the time i was there is not as long as u 🙂 The worst bad luck i ever experienced is pitifully the unchanged working way of AIESEC there, the way people valued the “white people” much more than the other people in “other colours” as i realized in every aspects of Indian life (must confesss that i was totally brown in that time). Actually i am not supposed to set the shadow upon all the indian people cuz above of all there were still some very nice people, “foxy” or “naive” (can not find any appropriate adjective for them) who were willing to reach hand to help with honesty and undescribed eagerness, especially without “any charge”. There is a world of many strange things, a world that we just want to enter as a visistor not as becoming a part of its, yet when entering, we would have the feeling of being swallowed, being sticked as firmed as glue inspite of how much alert we ruled ourselves to sustain before ..That’s India. cool, i finally found your blog. next time im on the computer, when its not midnight, im gonna read all your posts! see ya on twitter! I’ve read through your blog post immediately after receiving your offline message, cause I can’t wait. Kinda heard many friends over here talk about your unlucky internship, but I feel great that you still manage to live that positive attitude. This is a real nice surprise of the day. Probably whenever I talk with someone about AIESEC internship XP, I’ll tell your India story together with your great optimism!!! Well written! Really interesting stuff. I’m reading Shantaram at the moment. It’s about India and the way he describes it is really similar to how you have described it. It’s a funny country isn’t it? I’ve only been there once, but its such a strong mix of opposites. A real juxtaposition. I was offered an internship in India, (or more exactly, I’ll work at Manipal), gross payment is Rs. 5000, in the contract, they say that total cost of living for 1 month is about Rs. 3000. Would you please tell me from your experience, is Rs. 3000 enough? Just found your blog while searching for words “Vietnam a strange country?”..And found your blog at top…Haha !! And after reading, it’s opposite! Phew!! But really for me Vietnam is an interesting country but very strange. So far I just traveled Hanoi so can’t comment much but soon going to visit Saigon/Ho Chi Minh to see the difference in 2 parts of Vietnam i.e. North & South. And I am very positive about Saigon which is modern city comapre to Hanoi. This is what I am reading till now. Looking forward to explore more of Vietnam. Still Vietnamese beer’s, coconut ice creams, very yummy cakes at nominal prices and Vietnamese noodle soup are forever memories for me. Hey, that’s too funny hah?! LOL Well, I did have some not-so-good experience during the time I lived in India, however, I’d love to come back one day, especially now there is already direct flights between Vietnam and India from Air Asia!